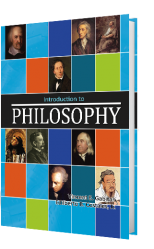 Authors: Vincent E. Gabitan, Edilberto B. Costales, Jr.
As it is the wish and willful desire of every human being to attain education, it is the desire as well of the protagonists of this textbook to attain education that is valid and sound. An education that is acceptable not only in this part of the city but as well as nationally and globally. Apparently, this textbook ventures into learning what is logical and sound education. This provides not only knowledge, for knowledge can easily be obsolete because of the rapid changes of the waves of time brought by the fast pace of scientific investigation and experimentation, and the constant evolution of technological gadgets, but also critical thinking skills that enable the students to understand recent information or knowledge, so that they will be able to cope with the trend of this era which is clarifying that if one is not aware of what is valid and invalid reasoning, his beliefs and principles will easily be manipulated. 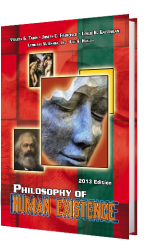 This likewise optimistically facilitates the students in acquiring basic skills in reasoning, communication, and appreciation of the various disciplines in philosophy; and lastly, this subject facilitates students to think the way a Filipino thinks. Thus, they will be able to develop a sense of nationalism and patriotism. All the above goals are indeed under the umbrella of philosophy. 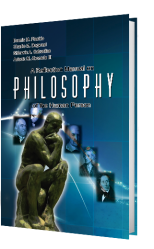 Thus, this subject provides an introduction to philosophy with ample emphasis on the basic concepts in Logic.